Once presided over by a flamboyant Hollywood mogul during the Roaring '20s, the magnificent West Coast property known as Roseland is now home to a reclusive billionaire financier and his faithful servants. And, for the moment, it's also a port in the storm for Odd Thomas and his traveling companion, the inscrutably charming Annamaria. In the wake of Odd's most recent clash with lethal adversaries, the opulent manor's comforts should be welcome. But there's far more to Roseland than meets even the extraordinary eye of Odd, who soon suspects it may be more hell than haven. A harrowing taste of Roseland's terrors convinces Odd that it's time to hit the road again. Still, the prescient Annamaria insists that they've been led there for a reason. Just how deep and dreadful are the mysteries Roseland and her masters have kept for nearly a century? And what consequences await whoever is brave, or mad, enough to confront the most profound breed of evil? Odd only knows. 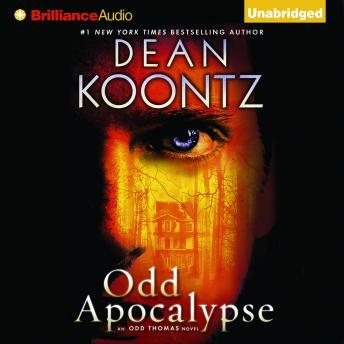 Like his acclaimed creator, the irresistible Odd Thomas is in top-notch form - as he takes on what may well be the most terrifying challenge yet in his curious career.